One of my favorite local coffee shops will be closing their doors at the end of June. (It’s a landlord issue.) 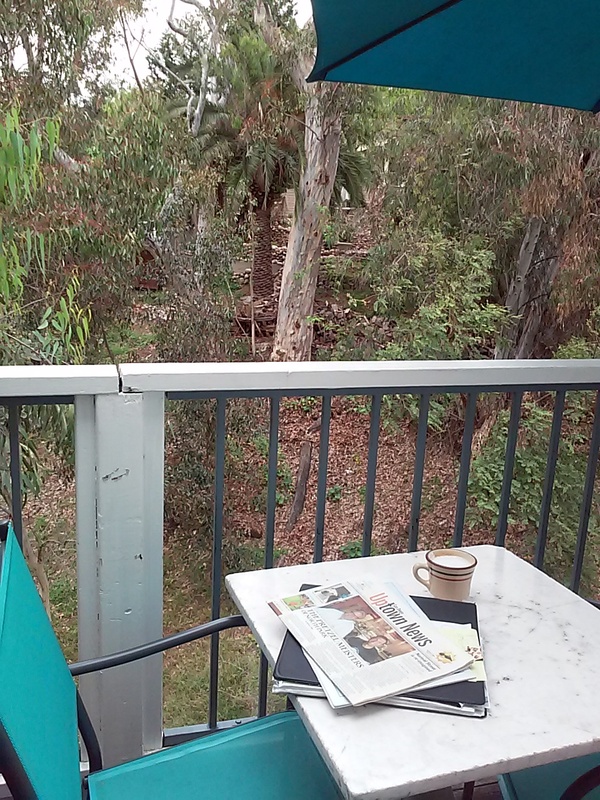 This residential Mission Hills coffee shop has been a hidden treasure for 15 years. Locals walk over for a cup of coffee (roasted by Café Moto), getting the bonus of a restful seat overlooking their back canyon. For those of you driving, parking is no problem as there is plenty of street parking with no meters. Stop by before they’re gone. They close early, though (usually by 3:00pm). While you’re there, wander the nearby streets to enjoy the Craftsman style homes, many of which make up the Fort Stockton Line Historic District (http://missionhillsheritage.org/districts.htm). Check out their active historical group at http://www.missionhillsheritage.org/ for future neighborhood walking tours. The neighborhood garden club also sponsors a spring garden walk. 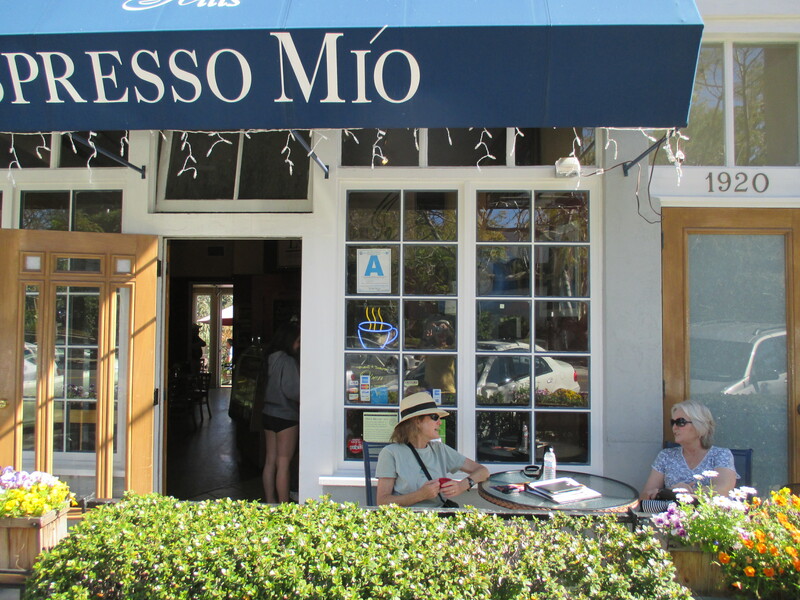 Rumor has it that Espresso Mio may be opening a cart in the nearby Mission Hills Nursery at 1525 Fort Stockton Dr. (http://www.missionhillsnursery.com/). Stay tuned…I’ll let you know if this rumor is true! I’ll miss this canyon view back patio. This entry was posted in Coffee shops in San Diego and tagged Mission Hills. Bookmark the permalink.